Should You Use Dating Apps During Divorce? Family law attorneys often advise their clients to avoid using dating apps and other types of social media during divorce. The information used on these sites, whether true or not is public and could further complicate matters regarding finances and custody issues. It can be tempting to jump into dating when one’s spouse has already moved on with a significant other. The basic human needs for companionship, affection, validation, and desire can push people into dating when they are not emotionally ready. The convenience of dating apps and social media can make the temptation to date prematurely even stronger. The average divorce may take up to 13 months to finalize. But when a divorce drags on for years because of complex issues like custody disputes or division of marital assets, it may not always be practical to wait to date. If a person chooses to date, he or she needs to think twice about using dating apps before the divorce is finalized. The information that users provide or generate through interactions on dating apps can be used as evidence in a divorce case. This could lead to negative implications. For example, if a spouse is claiming he cannot afford child support, but he has an active dating life and is spending large sums of money, he can be found out easily. 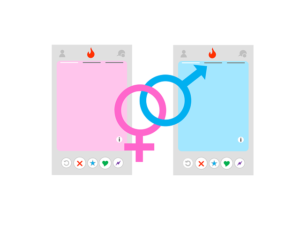 If a dating app must be used, the person needs to be careful about what information is shared and be truthful in how he is representing himself. Any lies can come back because of discovery and have a negative effect on the user’s side of the case. Apps that are connected to social media sites like Facebook make it easy to find the username and should be avoided. Instead, divorcing spouses should use an app that allows users to create independent usernames and profiles that are not connected to another site. Dating after a divorce is not always easy, especially when dealing with a difficult ex and co-parenting. There are dating apps that are designed specifically for divorced people. These apps increase the likelihood of meeting someone who is better equipped to understand the issues divorced people go through because of his or her own divorce.